WASHINGTON – Through innovative use of a neural network that mimics image processing by the human brain, a research team reports accurate reconstruction of images transmitted over optical fibers for distances of up to a kilometer. Optical fibers transmit information with light. 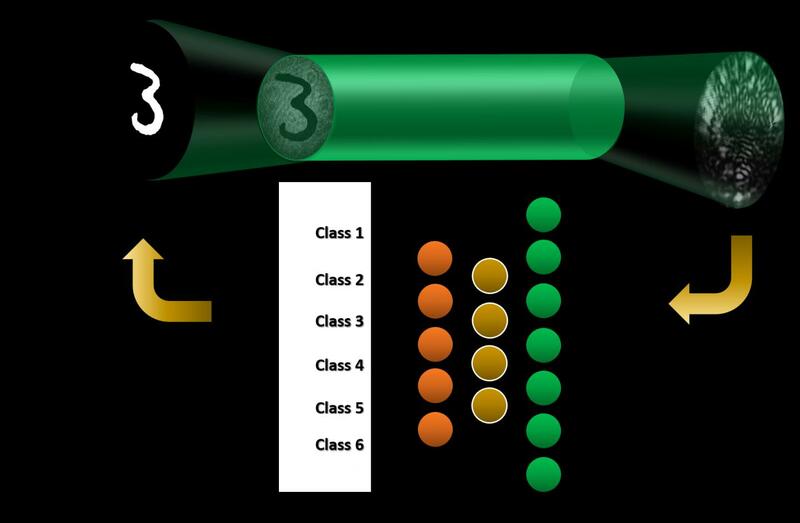 Multimode fibers have much greater information-carrying capacity than single-mode fibers. Their many channels–known as spatial modes because they have different spatial shapes–can transmit different streams of information simultaneously. Navid Borhani, a research-team member, says this machine learning approach is much simpler than other methods to reconstruct images passed through optical fibers, which require making a holographic measurement of the output. The neural network was also able to cope with distortions caused by environmental disturbances to the fiber such as temperature fluctuations or movements caused by air currents that can add noise to the image–a situation that gets worse with fiber length. Paper: N. Borhani, E. Kakkava, C. Moser, D. Psaltis, "Learning to see through multimode fibers," Optica, 5, 960-966 (2018).